Asparagus has been used as a food and a medicine since the early Egyptian days. It has been found in pictures dating back to 3000BC in Egypt, Syria and later in Spain. 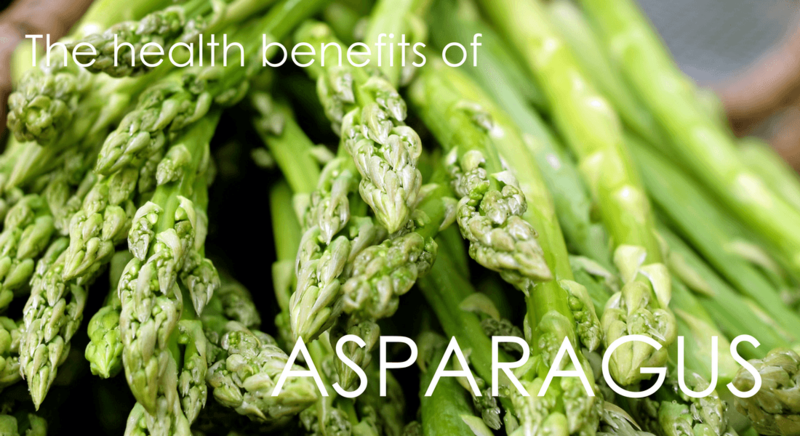 Asparagus seemed to have become part of the diet of Europeans in the mid – 1400’s. Research has found that asparagus has very high levels of asparagine which is an amino acid. Therefore it is a natural diuretic which can help to flush out excess fluid and salt for your body. This flushing may help to prevent urinary tract infections. Studies have shown some promising results that a diet which includes asparagus may help to prevent urinary tract infections from developing because more trip to the bathroom can help move the bad bacteria out of the urinary tract. Nutritionists suggest adding asparagus to your diet to increase your consumption of vitamin E, an important antioxidant. Vitamin E is known to strengthen your immune system and help to protect cells from the harmful effects of free radicals. Studies have found that vitamin E is absorbed better when eaten with some fat. Asparagus cooked in olive oil is a great way to get healthy fat and vitamin E.
If you need to find a great source of vitamin K, look to asparagus. Vitamin K is known as a blood clotting vitamin and studies are showing promising results that it can also improve bone health. Vitamin K plays an important part in bone mineral density in osteoporotic people but it may reduce fracture rates as well. Researchers have also found that vitamin K help to support heart health by preventing the arteries from hardening by keeping calcium out of the artery linings. Nutritionists suggest adding asparagus to the diet of women who want to become pregnant or who are pregnant because it contains a large amount of folate. Folate is known to decrease the risk of nerual tube defects in fetuses. Research has shown how important folate is for women who desire to become pregnant. Folate works with vitamin C and vitamin B12 to aid the body in breaking down , using and creating new proteins. The folate helps to form new red blood cells and produce DNA which is the building blocks of the human body. These building blocks carry the genetic information. 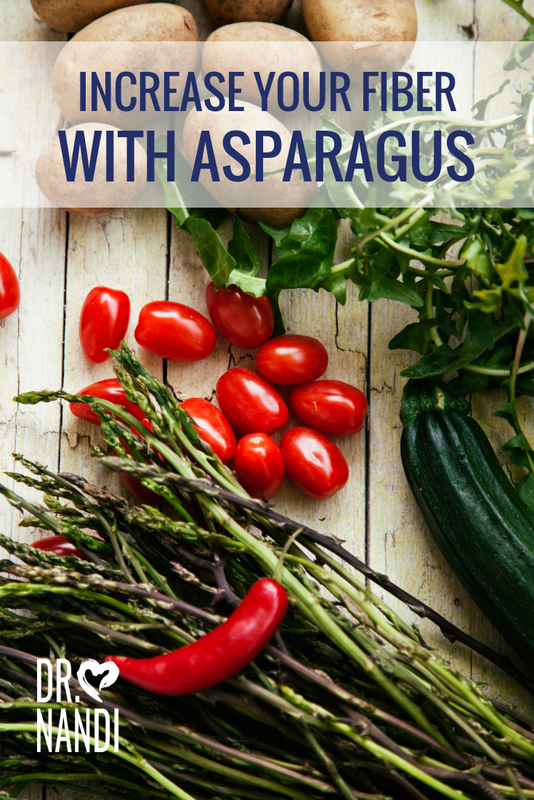 If you need to add more fiber to your diet, add asparagus. It contains both soluble and insoluble fiber which is important for digestive health. Soluble fiber attracts water and can help to slow down the digestive process. The insoluble fiber helps to remove the plaque and other toxins in the stomach while being expelled. Plus, the added fiber helps to regulate bowel movements, provide relief from constipation and may help with some protection from colon cancer. Studies have found that asparagus contains a fiber called inulin which is known to promote healthy bacteria growth in the gut which is important in maintaining a clean and healthy colon. Dr. Nandi’s easy and quick roasted asparagus recipe has a little heat and a lot of healthy goodness. Add it to your routine and become your own Health Hero. A huge favorite around the Ask Dr. Nandi Show offices. 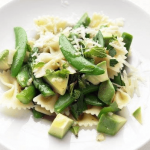 This quick and easy to make dish is perfect for lunch or dinner!